As the 2018 summer flounder season continues to slowly ramp up, Ocean County anglers found plenty of action with striped bass and bluefish this week, especially after a recent spate of rain. Both bay anglers, surf anglers and those in the ocean say the bluefish bite picked up this week. At Murphy’s Hook House in Toms River, the staff theorized that some recent rainy days pushed some of the bluefish (and stripers) out of the Toms River and into Barnegat Bay. Stripers above 20-inches were reported near the Route 37 bridge on bunker chunks, a report from the shop said. While most anglers were focusing on what’s left of the spring bass run, and the fun of tangling with blues on light tackle, some were on the hunt for fluke. The shop’s report said the area of the sedge islands behind Island Beach State Park (in the bay) were also producing fluke. 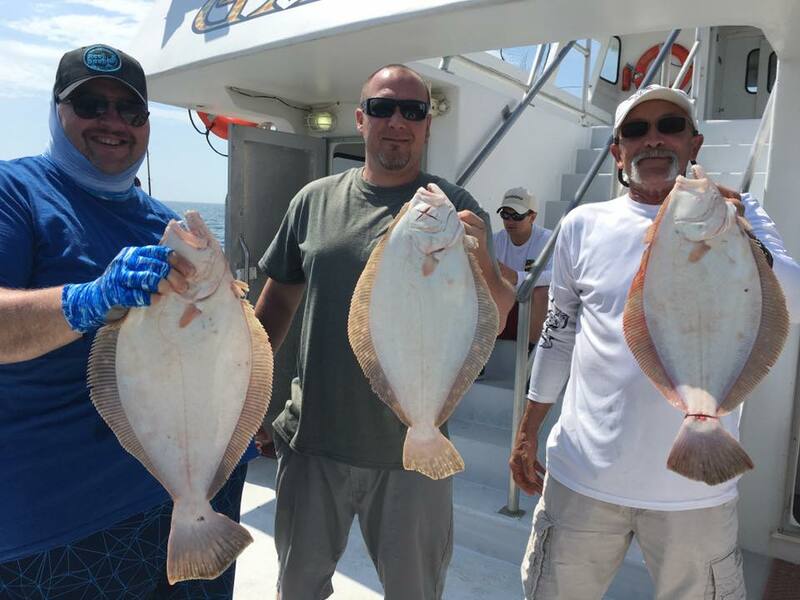 There were numerous reports of fluke being caught near the BI and BB buoys in Barnegat Bay, as well as the Oyster Creek and Double Creek channels. As far as surf fishing, it seemed most reports favored the area from Lavallette to Ortley Beach as far as fluke went. In the ocean, anglers targeted the usual fluke-sea bass combination, but given current regulations, keepers can be a challenge on bonds ends. But there was plenty of “practice” to keep anglers busy while waiting for a legal fish. Tom Miller caught his limit of keeper fluke and won the pool with a 4.5lber. He was using pink gulp.